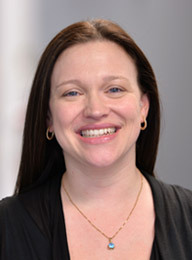 Behavioral Concepts (BCI), a company of behavioral clinicians specializing in the care of children with Autism Spectrum Disorder (ASD) in Massachusetts, has recently promoted Tiffany Bellina, M.S., BCBA, LABA to Director of Northeast Programs. She is a resident of Leominster, MA. BCI is meeting the need for Applied Behavioral Analysis (ABA) providers in the Northeast area by providing specialty Early Intervention ABA services to families through their temporary office at 1501 Main Street, Units 29-30, in Tewksbury, MA. Bellina has been promoted to Director of Northeast Programs and will oversee the Northeast team and all services. Prior to her promotion, Bellina was Behavior Analyst and Director of Intakes and Scheduling in Worcester, handling all hiring of staff for the greater Worcester region. Bellina joined BCI in 2010 as an ABA Therapist and was quickly promoted to Clinical Coordinator before becoming Director of Intakes and Scheduling. A graduate of Kaplan University with a concentration in Applied Behavior Analysis, Bellina is a Board-Certified Behavior Analyst (BCBA) and a Licensed Applied Behavior Analyst (LABA) in the state of Massachusetts. Additionally, she serves as an ABA supervisor for Bay Path University’s ABA graduate program that operates onsite at BCI. Bellina works closely with Katherine Law, BCBA, LABA, Assistant Director who leads Early Intervention services from the Tewksbury office. BCI provides Early Intervention services to more than 50 families in the Northeast area. These targeted services are designed to assist infants and toddlers (birth to age three) in making significant strides in their development, and are evidence-based, tailored to their needs, and usually provided in the home. BCI is a partner agency that receives Early Intervention referrals from the Department of Public Health for children under age three with a diagnosis Autism Spectrum Disorder. BCI accepts most major insurance plans operating throughout Massachusetts as well as Mass Health. BCI is looking to site a new ABA center in 2019, which will enable them to expand their offerings in the Northeast area to include center-based and home & community insurance-funded ABA services that families can elect to have for children age three to 22 years old. To learn more about BCI’s services, visit https://bciaba.com.